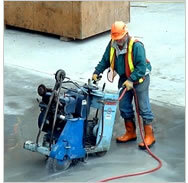 Serving Thunder Bay and Northern Ontario, Superior Cutting and Coring is a reliable, specialty concrete contractor. We provide concrete cutting, coring and demolition services to the industrial construction sector. With the most advanced equipment and a well-trained, experienced staff, we ensure that your demolition, cutting and coring needs are met safely, quickly and to your specifications. Taking less time than conventional demolition services, our team completes the job efficiently, saving you time and money!